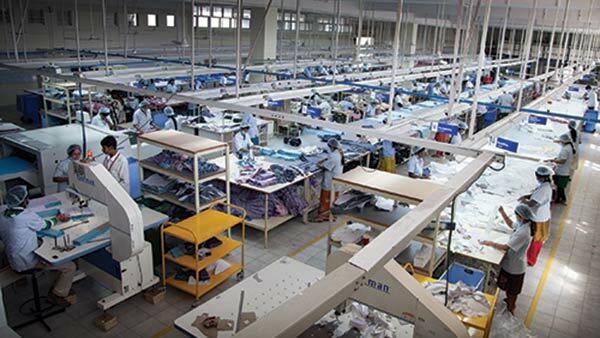 Global supply chains are a major employer of women: Women represent an average of 68 percent of the garment workforce, 45 percent of the textile sector workforce, and up to 70 percent of the horticulture workforce. These low-income working women often face significant and specific challenges, such as a low status in the workplace, low skill levels, irregular and excessive hours, harassment, violence, and discrimination. These challenges are reinforced by a lower status in society. HERproject stands with women as they take greater control of their lives, ensuring that they can make and act on choices they value. We firmly believe that women in global supply chains have the potential to be powerful agents for positive change in workplaces and in society. HERproject works to unlock that potential. Our ambition is for employment and empowerment to go hand-in-hand for women workers, with an empowered female workforce seen as a driver for business success. Our model brings together global brands, their suppliers, and local partners to create and implement workplace-based interventions on health, financial inclusion, and gender equality. Companies commit to implementing workplace-based programs to empower women workers in global supply chains. BSR develops curricula, tools, and guidance for workplace-based interventions, connects companies with local partners, and provides technical support for implementation of HERproject. Local Partners use their expertise to adapt the curricula to the specific context and provide qualified trainers to deliver programs. Factories and Farms allocate time for trainings for workers on health, financial inclusion, and gender equality, and work with BSR and local partners to build inclusive workplaces related to these areas. Women Workers participate in trainings, become peer educators, and share information with colleagues, friends, family, and members of their communities. We develop and coordinate workplace training sessions that help groups of women enhance their knowledge, confidence, and self-esteem. These women then empower their peers, families, and communities. 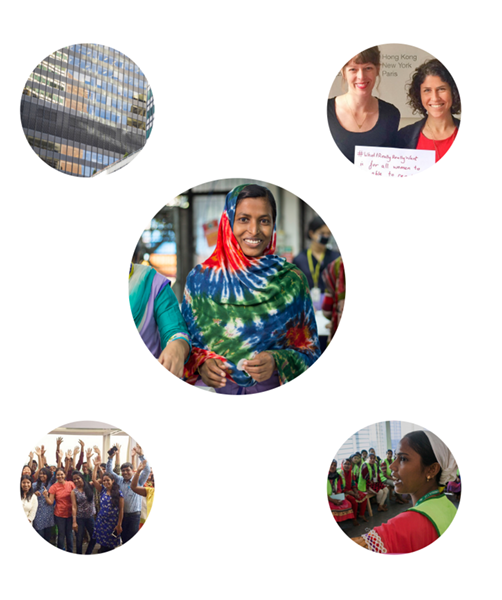 We provide expert guidance to brands and their suppliers on improving workplace systems and policies, enabling them to build inclusive workplaces for women and more resilient supply chains. We build connections to key products and services, such as health clinics and formal bank accounts. This means women have access to and control over the resources they need to improve their lives. We believe investing in women is good for both women and business. When women have enhanced ability and agency to take charge of their own lives, along with supportive work environments and relationships that create fair and dignified workplaces, they become powerful agents of change. Empowered women and dignified work are critical to better business—business that is more ethical and more productive. Through HERproject, women acquire the information and ability to access products and services necessary to improve health, finance, and gender equality outcomes. Through HERproject, women acquire strengthen their confidence and sense of self-worth to take charge of their lives. Through HERproject, women enable better and more effective communication and interaction between workers and management. Through HERproject, we help factories and farms to adopt policies and practices that create inclusive workplaces. Through HERproject, women lead to more productive workplaces and more profitable businesses. Through HERproject, women acquire better and more effective communication and interaction between workers and management.